We have had several things that I have had every intention of sharing as an update. 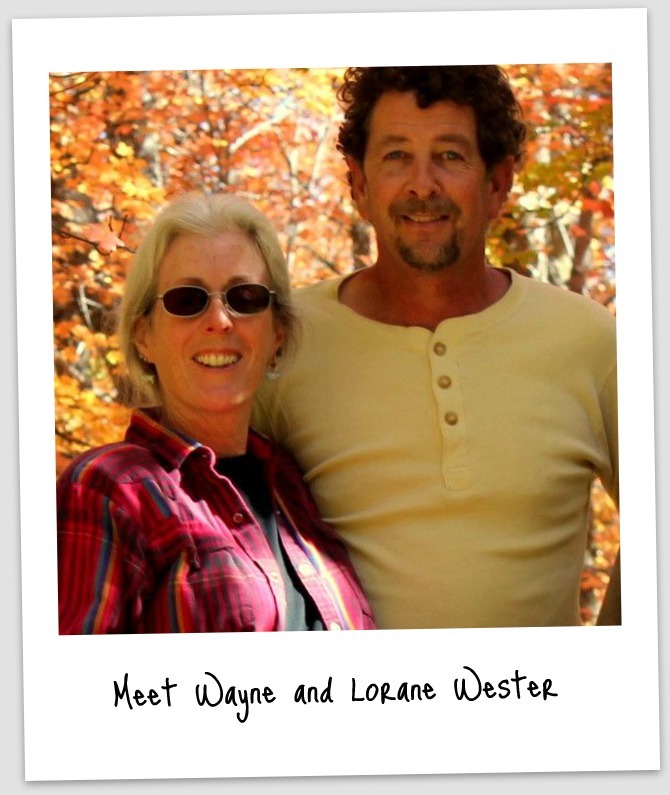 An introduction that I have wanted to share for over a month has been to introduce you to Wayne and Lorane Wester. They spent two months with us in Jimaní, that too quickly just came to an end. Wayne is a carpenter/cabinet maker/home builder and basically just handy to have around and Lorane is a former teacher and school administrator. They decided to spend a few months out of the cold of Mountainair, New Mexico. Wayne and Lorane are friends of John and Rhonda Hanley, and when they reconnected on Facebook to find that my parents had moved Jimaní. Wayne and Lorane had been exploring other options of places they could serve for a few months, but the details kept falling through. They contacted us to see if they could serve with us for a time. 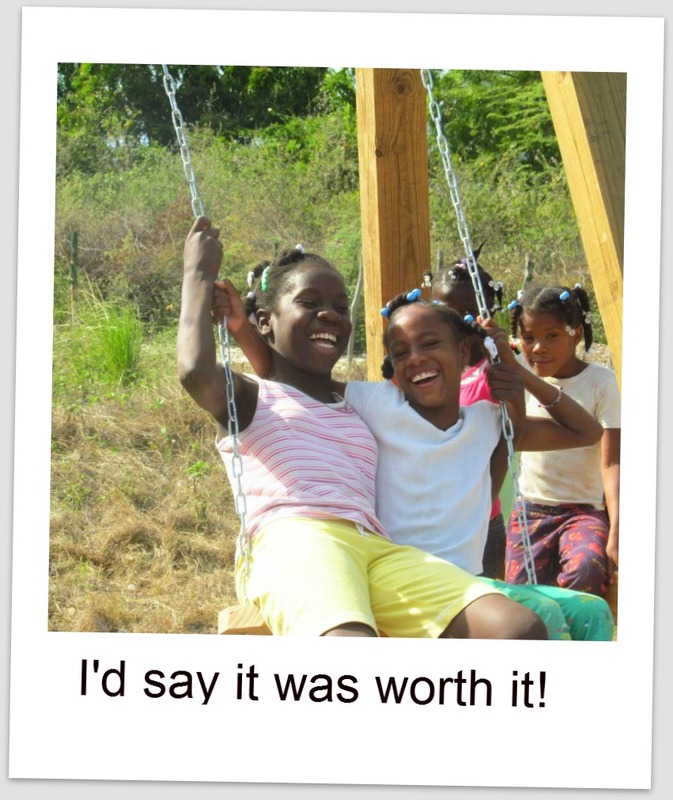 We had received a generous donation for a playground, but I had been unable to figure out how to make it happen, when Wayne mentioned he could build one. 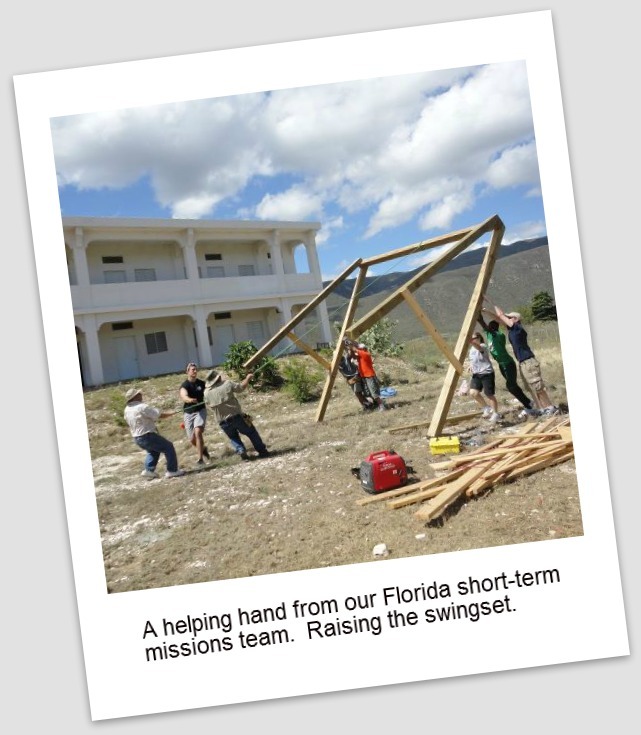 Something I never thought of, so we have swings and a play structure that he built in addition to general maintenance, he converted a storage room into our children’s home laundry room, made cabinets, shelving, and other improvements to the facility. 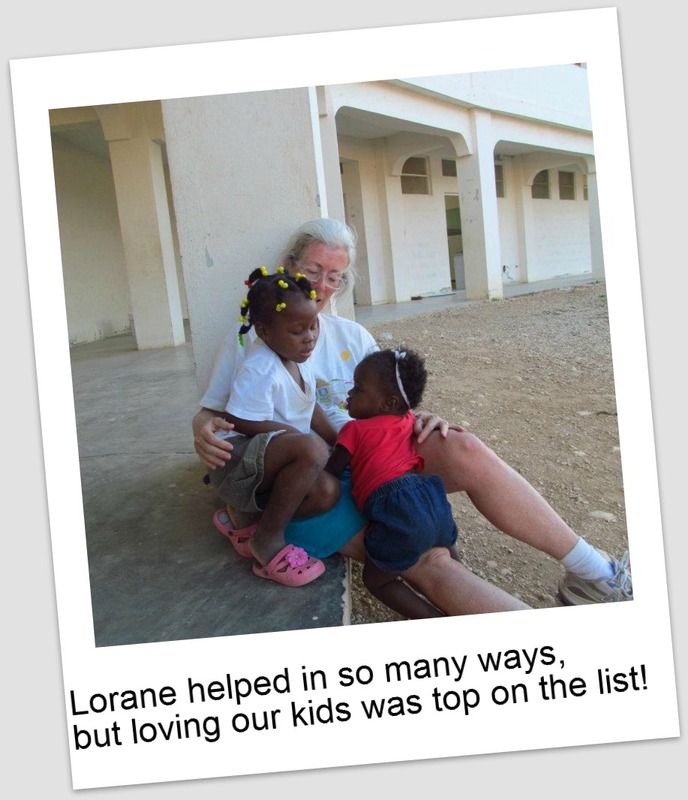 Lorane helped in all aspects of the children’s home, and just spent time loving all of our kids. It was such a pleasure to work closely with them, and we are looking forward to next winter when they plan to spend a few more months with us. We will have a “to do” list waiting!!! Wonderful story and pictures! Thank you for sharing. 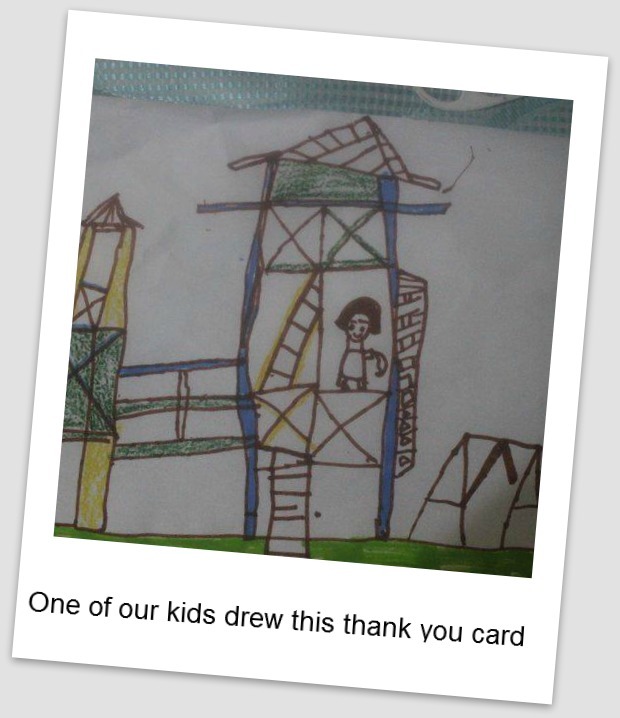 Congratulations on the new playground and other improvements. 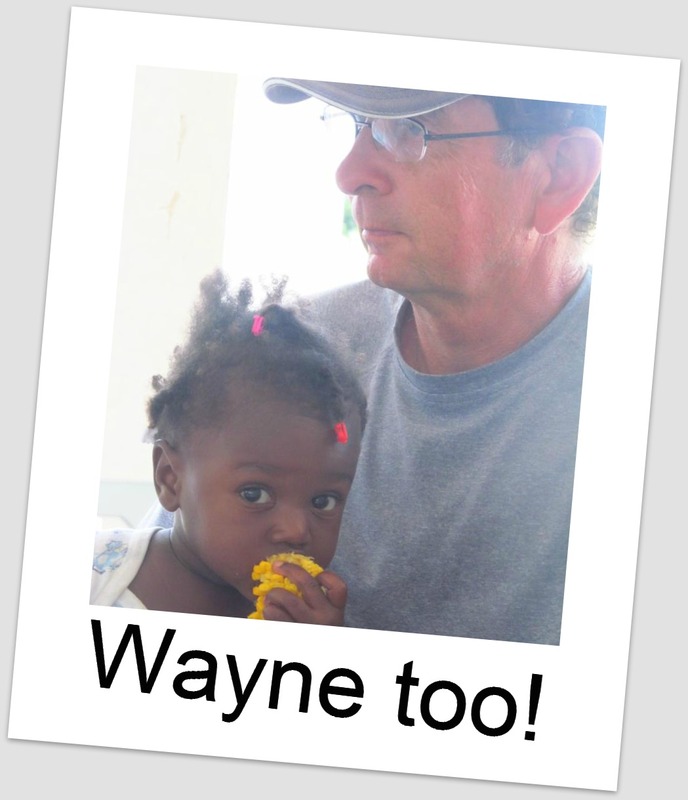 God bless Wayne and Lorane!